Bellator is returning to Madison Square Garden in New York City. 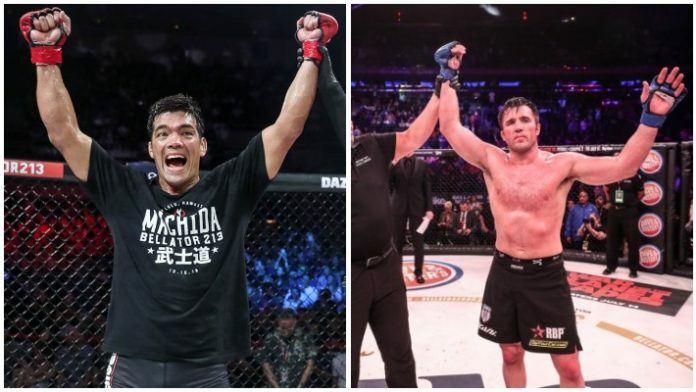 ESPN’s Ariel Helwani got word that Bellator has booked Lyoto Machida vs. Chael Sonnen for June 14 inside “The World’s Most Famous Arena.” Bellator will be announcing more match-ups for the card in the near future. While it was believed that Machida was in the thick of Bellator’s middleweight title picture, his bout with Sonnen will be contested at light heavyweight. Machida is coming off a successful Bellator debut. He took on former Bellator middleweight champion Rafael Carvalho back in Dec. 2018. “The Dragon” walked out of the bout with a split decision victory. He’s now on a three-fight winning streak and hasn’t suffered a loss since Oct. 2017. As for Sonnen, he’ll be looking to rebound when he meets Machida. Sonnen participated in the Bellator Heavyweight World Grand Prix. While he earned a unanimous decision victory over Quinton Jackson in the opening round, he couldn’t get past Fedor Emelianenko in the semifinals. MMA News will provide updates on Bellator’s return to MSG as they become available. How do you think a light heavyweight clash between Lyoto Machida and Chael Sonnen will play out?